Over 40 winegrowers present wine in all its facets. Join us and discover and experience more than 300 different wines. And if you have found your wine, you can buy it directly from the winemaker. Find your new "house wine" at the RegioWein, the wine direct sales fair in Mainz from 12 to 14 April 2019 in Mainz. You have been looking for a wine that you can not find in every supermarket that is delicious and affordable and that asks your guests the question: "Oh, how delicious! Where did you get that from? 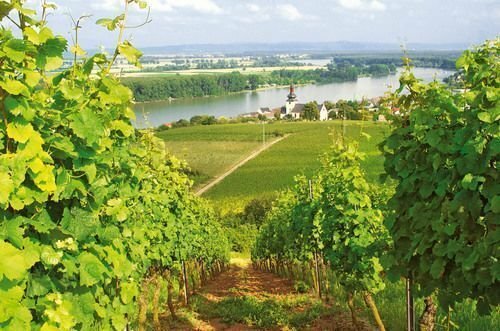 "Or maybe you always wanted to compare what the wines from Rheinhessen, the Rheingau, the Palatinate, the Nahe, the Middle Rhine, the Moselle and the Hessian Bergstrasse are like, what our regional wines different from each other? Try wines from your region. And if you like a wine that tastes really good - or even more - then buy it right away. We invite you to wine in the car. The Rheinland-Pfalz Exhibition is the largest consumer fair in Rhineland-Palatinate and the Rhine-Main area. If you come to the RegioWein by public transport, the ticket for the Rheinland-Pfalz Exhibition is your free ticket to the RegioWein. You can try without hesitation - the winemaker of your choice certainly has ways and means to deliver your new "house wine" as quickly as possible to your home. There are many advantages to living in our region - one of them is our wines.